My 2018 goal is to read 52 books – one per week (in theory). The reality is I won’t read much in May because it gets crazy but will make up for it in June and July then August will be scare while I finish out the year. I am glad though that I have had a strong start to the reading year primarily because I have started listening to audiobooks while I c̶l̶e̶a̶n̶ ̶h̶o̶u̶s̶e̶ work out and walk the dog. My apologies for not posting my first quarter reading sooner, but I was enjoying last week off of work and spent my extra free time reading. Happy reading, friends! Let me know if you ever need book suggestions. I liked this book a lot – beautifully written! The last half reads quicker than the first half, and the ending is unclear yet fulfilling. Having been in LA seven days after Katrina, I could totally relate to the scenes of damage and destruction at the end; the story makes it so much more personal. Love the symbolism and allusions – so well done! I loved this story. The characters are real and authentic, and I was pulled in from the beginning. If you are a YA enthusiast, bump this to the top of TBR list. We thought about adopting this at school, but some of the content is too sexual for school approved curriculum. If you are looking for mystery, romance, secrets, foreign places, coming of age, or generational stories, this gothic novel will not disappoint. The story centers on a boy and a book but unravels like a string on a sweater into a complex web of lives and circumstances unpredictable to the reader. This is translation from Spanish which makes the audiobook even better because of the pronunciation of Spanish names and places. This book is a must read; I can’t believe it took me so long to get to it. WOW – this book started a little slow for me but picked up about half way through. I so love the relationship of JoJo and Kalya; it’s heartwarming. The weaving of stories and characters is amazing, and I love the culmination of the physical and spiritual world at the end. I also like that this story makes me feel sad yet hopeful. I am so excited about hearing Ward speak later this month at the Carter Center. And this cover is to die for! This book is about Parker Palmer’s journey of figuring out who he is, how God wired him, and choosing a vocation accordingly. I loved his honesty about choosing jobs because he wanted to do work for not great reasons – money, power, pride, prestige. His story offers many points for thinking. 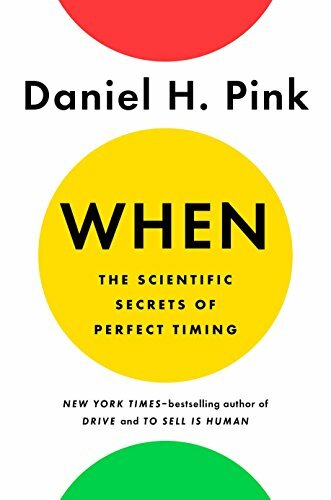 First, I love Daniel Pink and his work and am a huge fangirl. 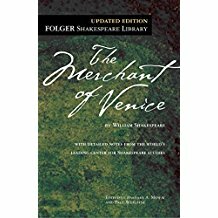 I listened to this book on Audible which includes a large pdf with critical info from the book – I love having that resource. This book is research based, full of stories, and rooted in practical application. I have already made a few adjustments to my schedule based on this book; my favorite, however, may be the nappiccino. If you are interested in using schedules and routines more efficiently and effectively, read this. 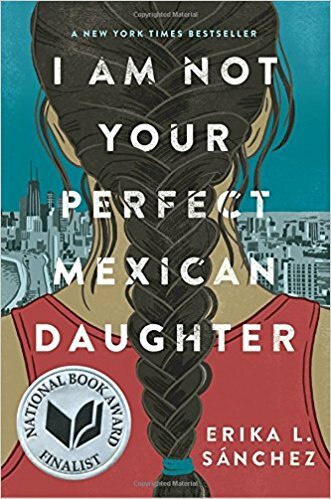 After hearing Anderson speak at NCTE last fall, I immediately moved Speak to the top on my TBR list, and when one of my reluctant readers decided to read it, I started it also. 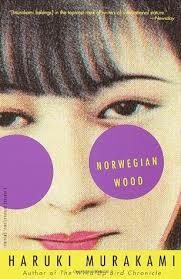 I absolutely loved this story of high school girl who is judged by her friends while she is carrying a dark secret. This is classic YA and a great book to open discussions about relationships, abuse, and isolation during teen years. This book will be a staple in my 9th grade classes. This book had been sitting on my shelf for a couple of years, and my trip to Italy prompted me to read it now. I enjoyed the story and loved to read about a protagonist who chose to follow his mom’s advice and do the right thing even though his heart wanted to do something else. This modern book is definitely a fun beach read. I have not read this since high school and decided it would be a good read on the train to and from Venice; I was not disappointed. I always say I am going to add a comedy to AP Lit curriculum, and this reread my actually propel me to do that in the fall. I continue to be amazed at how relevant Shakespeare continue to be. I read this book in one sitting, and it held my interest the entire time. The story is character driven, and the characters are interesting. The book reads easily and is well written. I give it four stars only because the ending was not the direction I wanted it to go, but in today’s society it is probably a realistic ending. I listened to this on Audible which the voices were GREAT, but I think this book needs to be read. If I had been reading, I would have skimmed the entries thus keeping me storied centered but the reading of all of these titles was too distracting. I loved the experimental style and story. I read this in the midst of students from Florida speaking out against gun control and school safety. The timing could not have been more perfect. This beautifully written and just as beautifully illustrated graphic novel is one that I have already placed in the hands of students. And it’s not just for students. The story of John Lewis from a sharecropper family in Alabama to a Civil Rights activist will inspire all readers. I only read this book because of trusted friends who encouraged me to do so. I have read two Green books before and was ready to give up on him. This book, however, is far superior to the other two I have read. He perfectly captures the YA mind without making characters seem cliche or trivial. And I love that he decided to address mental health – an issue I have had to deal with more and more in the classroom. This book really put me into the mind of someone struggling. When I tell people that I am reading this book, the common response I get is “I don’t want to read a book about death; that’s just too heavy.” That’s exactly why I wanted to read this book: to ponder death causes me to ponder life – something I don’t do often enough. I cried while reading this, and I’m not a crier (unless Bama football is involved). Not only does this book offer so much to think on in terms of mortality, faith, and purpose in life, it also provides a unique perspective to considering death – through the eyes of a neurosurgeon. And it’s beautifully written. This is a must read. This book is a BIG deal in Japan, but I just didn’t get it. I mean I got it, but I didn’t get why it’s such a big deal. It’s like The Catcher in the Rye (which I like) written by Hemingway (who I like), but the book was just too sexual for me. I read this as part of a book club, and every other book I have read for this book club has been a five star. So like I originally said, I just didn’t get this one. I listened to the book on Audible mainly while I was at the gym; any book that makes me stay longer at the gym definitely gets a five star rating. I loved Lennie and her resilience and loyalty to her mother, Matthew, and Alaska. The audible version is great. 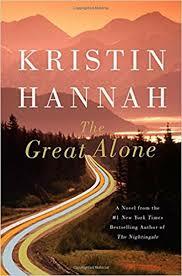 Kristin Hannah never disappoints; move this to the top of your TBR list. I’m currently thinking about what my summer books should be and would love to know your thoughts. What should I read next? We share many titles, Susan! Have you read Min Jin Lee’s Pachinko? If not, move it to the top of your list. So good! I have not read this, but it’s on the list now – thanks! Have you read Exit West? It was so great! I had to re-read sentences because they were so beautiful. I have read Exit West and loved it!! Thanks!